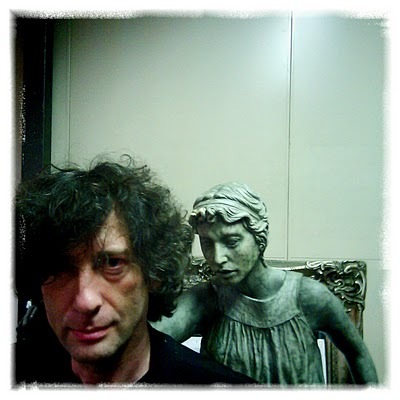 Notice how Neil does not blink, lucky for him the camera holder was watching the Weeping Angel. I love how while playing with the Doctor Who props he looked for a Dalek to hug. It makes me think, is that what was wrong all along. If only The Doctor gave Davros a hug maybe then everything would be good in the world.